Composite bonding is a very simple dental procedure that is performed to help fix small fractures or imperfections in the teeth. This teeth bonding technique involves preparing the affected area with an etching solution that will allow the composite resin to adhere more securely to the natural tooth surface. Once the composite bonding material is in place, it is hardened with a curing light (high intensity beam of light) so it forms a durable layer over the tooth. Similar to porcelain veneers, the end result of composite bonding is pearly white teeth that look and feel completely natural! Composite bonding is a very efficient and cost-effective way of performing minor cosmetic dentistry touch-ups while strengthening the structural integrity of teeth. 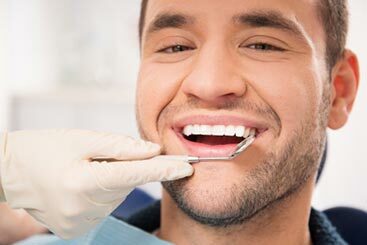 It can also be combined with other aspects of cosmetic dentistry like Invisalign® and teeth whitening in a complete smile makeover to help you achieve your perfect smile. Looking your best has never been this easy! Wondering if composite bonding is the best option for you? Reach us online or visit Constitution Dental in Downtown Ottawa today to schedule an appointment.